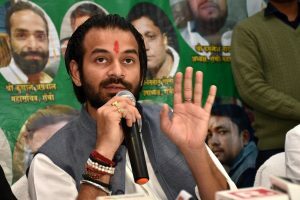 Less than 24 hours ago, Tej Pratap, who was the former Health Minister of Bihar, abruptly quit the party’s student wing. 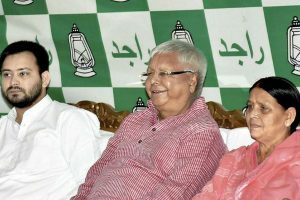 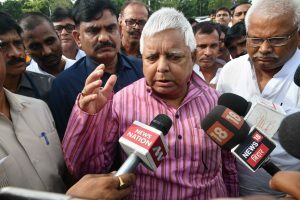 As per the agreement reached by the Grand Alliance, the RJD will contest 20 of the 40 seats in Bihar, the Congress nine while smaller parties have been given the remaining seats. 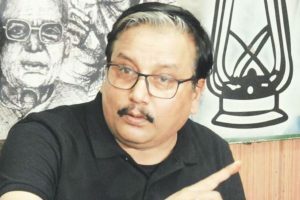 On the grand alliance of Opposition parties in Bihar, RJD MP in Rajya Sabha Manoj Jha said that discussions are on. 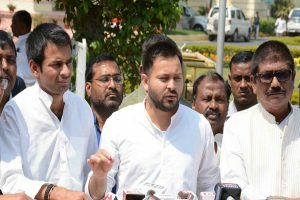 The case relates to alleged irregularities in granting operational contract of two IRCTC hotels to a private firm. 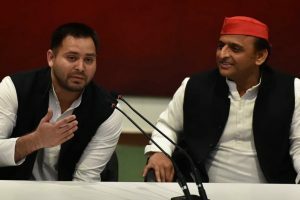 In a joint press conference in Lucknow on Monday with SP chief Akhilesh Yadav, the RJD leader expressed confidence in BJP's defeat. 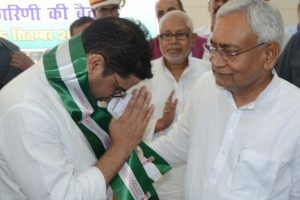 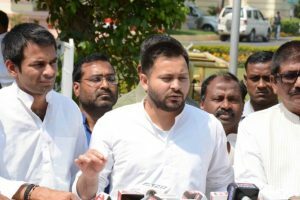 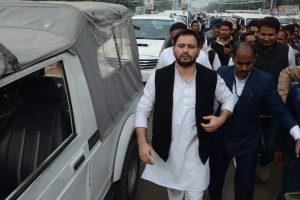 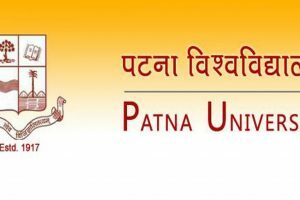 The cause of fresh tension is the alleged move by Prashant Kishor, JD-U vice-president considered very close to chief minister Nitish Kumar, to meddle in the Patna University Students’ Union (PUSU) elections and work in favour of his party. 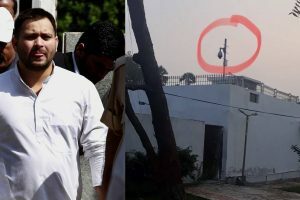 His remark was followed by other party members raising the issue and disrupting proceedings which led to the adjournment of the House. 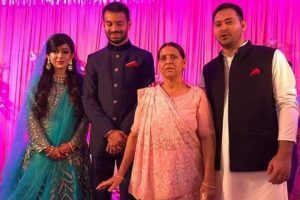 Tej Pratap’s family had earlier said he did not return home after visiting his father in Ranchi to discuss his decision to divorce his wife of six months, Aishwarya Rai. 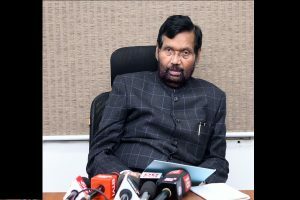 He has urged the Jharkhand police chief to make arrangements so that in the event of such a conspiracy being hatched, the same is effectively foiled. 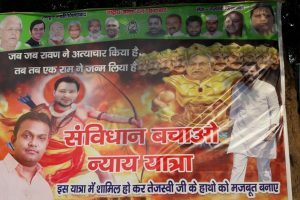 Amid the ongoing festive season, a poster depicting Yadav as Lord Ram and CM Nitish Kumar as "Ravan" was posted in front of RJD state headquarters in Patna. 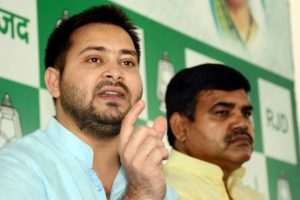 The huge poster surfaced on the busy Birchand Patel Marg, nearly 50 metres from Janata Dal-United (JD-U) state headquarters.